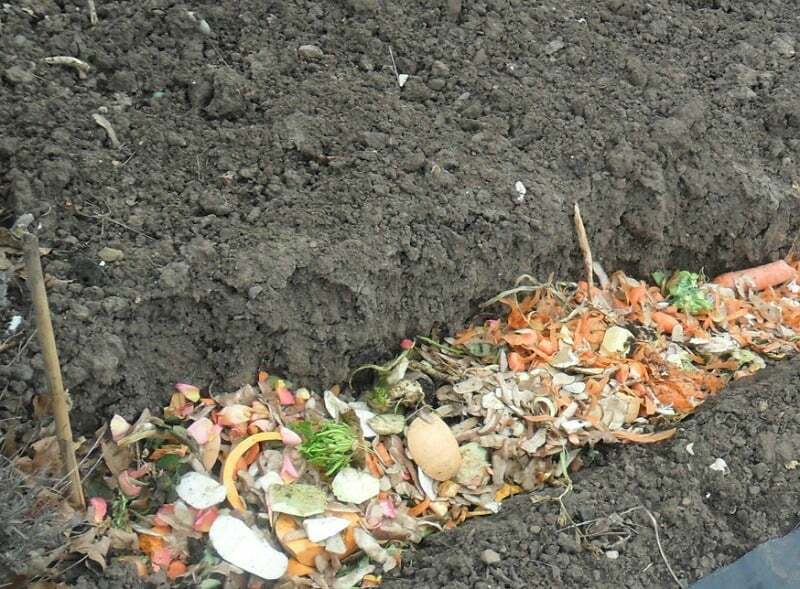 Composting for a vegetable garden by using the trench method has a lot of advantages. It is also one of the easiest ways to utilize your organic waste. Using the trench composting for garden is very simple. All you need to do is dig a trench or hole about a foot deep, fill it half full with kitchen and garden waste and fill it back with soil. This way of recycling waste not only keeps odors locked away, it also provides nutrition for plants deep in the soil. This will help with root formation and the overall health of your vegetables. Although it is known as trench composting, this term only loosely describes the method. In practice, you could use a zone or rotation system. 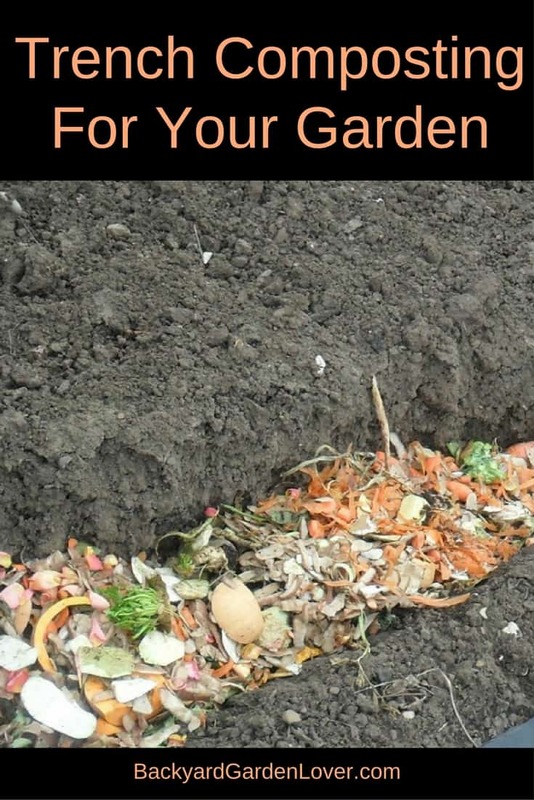 Trench composting for a vegetable garden is simply the act of burying waste. To follow the zone system, choose an area in your vegetable plot to bury your waste. Then swap the burying area every season. The trench rotation system is simple. You just need to add a trench burying task into the rotation plan of your garden. Split your garden in 3 areas and every year choose one area to trench compost, moving it every year. After 3 years your garden will all be composted and you can start over again. Introduce trench composting into your rotation plan by putting your trenches under your beans and peas. 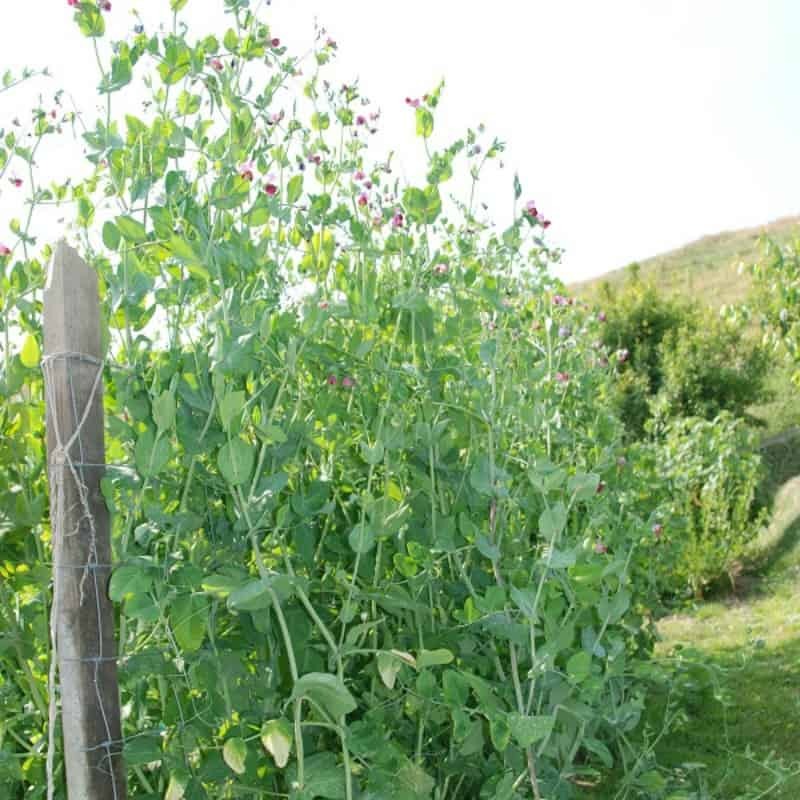 Line the trenches with newspaper to help with retaining water and you will create a perfect environment for your beans and peas to perform well. Here are our peas growing in a composing trench. When the plants are done for the season, cut them off at soil level to allow the nitrogen filled roots of the used bean plants to rot and release its valuable nutrients into the soil. Tip: after growing beans in the composting trench, plant cruciferous vegetables for a bumper crop. The high nitrogen levels left from the beans will feed the brassicas and encourage good growth and production. 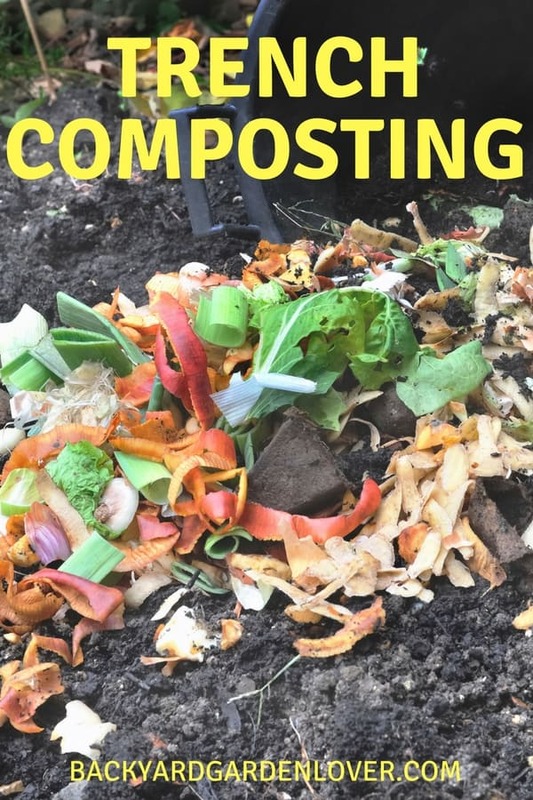 Here are some other methods of composting, as well as tips on building a wormery and creating organic compost. Can this work for the weeds pulled from the garden as well or does it not get hot enough to kill the weed seeds? Yes, you can add weeds you pull from the garden. Preferably before they go to seed. 1. 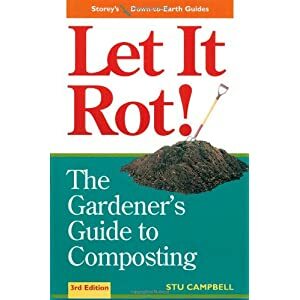 Can we use this compost for for other plants in pots. 2. How much period of time will take this compost to get mature. This is not for pots: it works best in your garden, as described. It can take as little as a few months and as long as a year to compost this way, depending on what you add to your trench. For example, we juice a lot, and throw the left over form our juicing. This composts in a couple months. Larger pieces of kitchen waste will take longer. I don’t recommend that. Just bury them in your garden beds and they’ll decompose over winter, enriching your soil. In tropical countries, may I apply this procedure? I’m not sure. It depends on where you are and your conditions. If you try it, make sure to dig the trench a bit deeper and cover it immediately to keep pests away. Would this work in raised beds or would they not be deep enough? I don’t think they are deep enough.